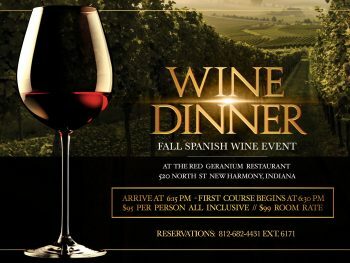 Join us on November 9th 2018 for our Fall Spanish Wine Dinner featuring The Wine Vault from Evansville Indiana. Enjoy perfectly paired red and white wines with our 7-course dinner. 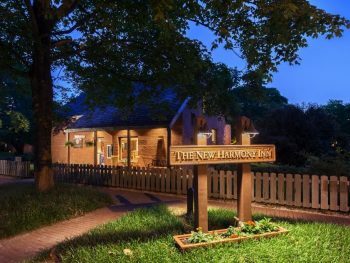 Redeemable at the New Harmony Inn, Red Geranium Restaurant and Grapevine Bar, Moon River Spa, New Harmony Inn Resort golf cart rentals, and Antique Showrooms in the Mews.